Long time Athens flatland spot. 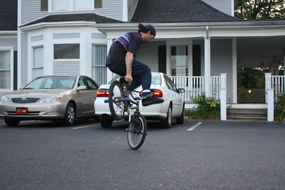 Many people don't like it but if you are in Athens and want to see another flatland rider this is your best bet. Long time local Jody Temple is there on the weekends along with, Jon Dowker, and myself.